Mobile live streams are more popular than ever, but creators have a hard time keeping viewers on. Even when they have great content. One of the reasons viewers stop watching live streams after a while is a poor quality. Shaky footage and bad audio are on top of the list. But, with a few additions to your mobile live streaming gear, you can create high-quality streams without going broke. One of the biggest downfalls of mobile live streams is shaky footage. It’s hard to keep handheld shots stable for very long, if at all. But, mobile live streams can look better. There are solutions out there for all kinds of budgets. The cheapest and yet effective solution to get smooth video is to get a tripod. Better than regular tripods, you can find flexible tripods which will be easy to set up anywhere you go. You can wrap them around tree branches, rails, pipes and so on. Or you can place them on an uneven surface and adjust each leg to get it at the right level. They are usually lightweight and practical to have with you. Make sure you get a tripod with a mount for your phone. Some tripods are already made for mobile devices. Others might require you to buy the mount separately, based on your device size. The price for flexible tripods for mobile phones varies a lot. You can find good quality ones for as little as twenty dollars. 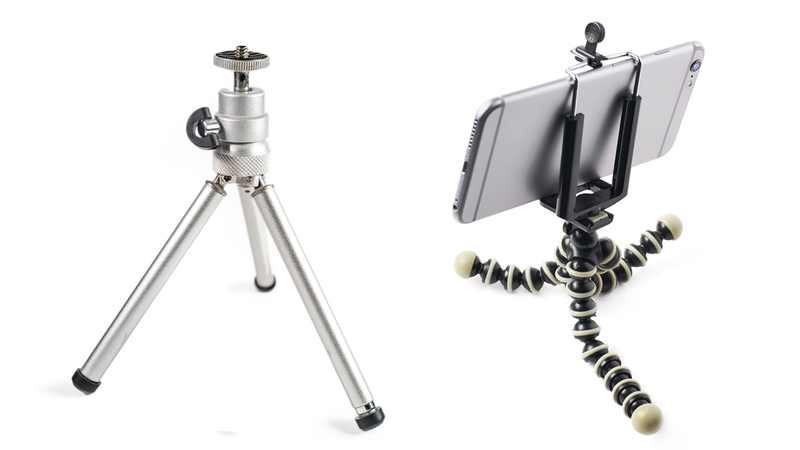 A flexible tripod must be part of your mobile live streaming gear. If you stream your live videos on the go, a tripod might not help you much. Although it will still have less movement than holding your phone in your hand. But in this case, the best option is a handheld stabilizer. There are many on the market, however, a good quality one won’t be as cheap as a tripod. High-quality audio is extremely important for live streams. The built-in mic from your phone is not enough. Adding a microphone to your mobile live streaming gear is an affordable way to improve your live videos. As any other video production gear, microphones’ prices can go from ten to thousands. There are specific types of microphones for different needs. This mic can be attached to your shirt, usually near the collar, and plugged in the headphone jack of your device. This mobile live streaming gear is great if you are the only one talking during your video. Start pricing point is around fifteen dollars. As the name suggests, this microphone captures the sound that it’s directed to. It’s also connected to the headphone jack. The sound quality of your mobile live streams will increase dramatically. It’s great for multiple presenters, concerts, and anything that requires a wider range. But, its starting price is a little higher than a lapel – it costs around fifty dollars. If you already have an external microphone, all you need is an adapter. A mic adapter for mobile devices cost around ten dollars. There are adapters that go in the lighting connector (iOS) and the charging port (android). They allow you to connect microphones, headphones and the charging cable. You can also find microphones especially designed for each device. The start price point of an adapter is around ten dollars. Have you ever seen those amazing photos or videos with the title: “Shot on iPhone” or shot on any smartphone? It usually gets us thinking, were they really shot on a smartphone? For the most part, yes. But, they had some extra gear. Which brings us to an essential mobile live streaming gear: mobile camera lenses. They come in all shapes, types, and forms. For live streaming, the most important mobile lens you can have is a wide-angle lens. Cameras from mobile devices usually add a bit of distortion to the image/video. What’s more, because of their angle, they bring things closer than they are. Sometimes, it might look like your face is much bigger than it actually is. A wide-angle lens minimizes these distortions in the center of the frame. Although the corners might get a little distorted, it gives you more space in the frame. It’s as if you pushed your camera back, further away from you. Practicality is key during live broadcasts, thus we recommend getting lenses that connect quickly to your phone. 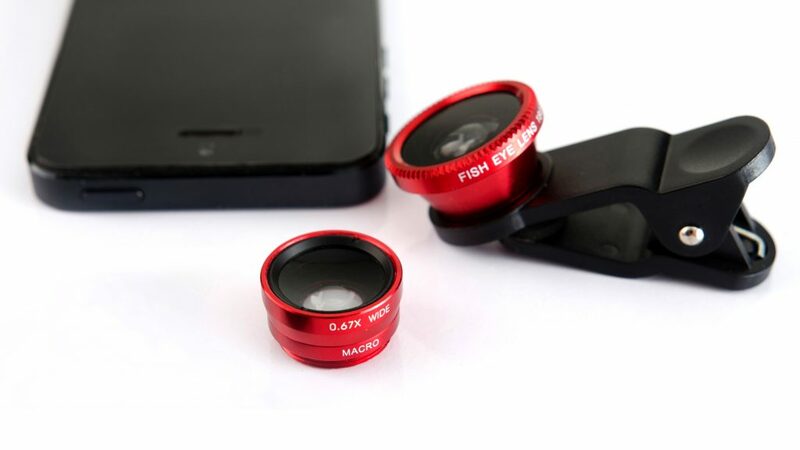 There are small wide-angle lenses that come with a clip, easy to attach to your phone. They are usually part of a set of lenses and go for twenty dollars. When you live stream from your mobile device, the average use of the battery is 1% for 1 minute of live video. Depending on the device, that number can go way high. External batteries are a life-saving addition to your mobile live streaming gear. Also known as portable power banks, they cost around twenty dollars and will definitely come in handy at some point. With this mobile live streaming gear, you can take your live videos to a whole new level. Viewers don’t expect Hollywood productions but they want to see you and hear you properly. They will be shocked with the quality of your streams with this gear. More importantly, chances are you will get more viewers because your great content will match your high-quality videos.